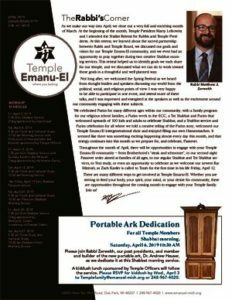 Temple Emanu-El April 2019 Bulletin! Join us at one of our upcoming events! See our current event list HERE. We believe that Membership is too important to be reduced to filling out an application and sending a check. We welcome you to come meet our Clergy and our professional leaders. If you are an Amazon shopper, please consider joining the Amazon Smile program. 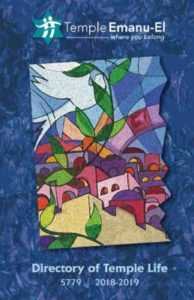 It allows you to shop as you normally would while Amazon donates money to Temple Emanu-El based on what you purchase. Simply CLICK HERE to go directly to the AmazonSmile site.